California-based Yogurtland, the leading self-serve frozen yogurt provider in the U.S., will open its second store in the state this week at 76 S. Arlington Heights Road in Arlington Heights. 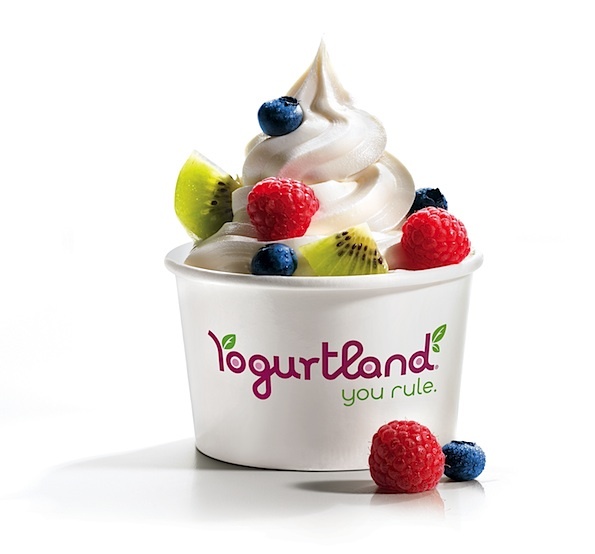 Earlier this month, Yogurtland debuted in Illinois with its first store located at 1568 East Lake Cook Road in the Wheeling-Buffalo Grove area. Chicago-area resident John Oh is the franchise owner behind the new locations and plans to open additional stores in the near future. Oh, a Kildeer resident and the father of four children, first stumbled upon Yogurtland while vacationing in Los Angeles with his family last spring. After seeing how much his children, who range from elementary school through high school-age, enjoyed Yogurtland’s self-serve frozen yogurt concept, he began looking into franchise opportunities. Shortly thereafter Oh signed an agreement to open the first two stores in Illinois, and he is also considering opening additional locations later in the near future. Yogurtland has transformed the yogurt industry by reshaping a popular trend into an empowering new definition of a treat experience—delivering ultimate customer control. When guests walk into Yogurtland, a wow-inspiring wall of flavors and a cool modern interior with a relaxed ambience greets them. Guests can choose from classic frozen yogurt flavors that include traditional favorites such as cookies and cream or other more exotic flavors like taro, green tea, maqui berry, yuzu and guava pineapple. There are also no sugar added options available and a choice of over 35 topping selections that includes fresh fruits, nuts, cereals, candy and much more. Yogurtland expects continued growth throughout the greater Chicago metro area with plans to open a total of 40 stores over the next 3-5 years. Larry Sidoti, the company’s vice president of development and operations, will be in town Sat., May 5 from 12 p.m. to 5 p.m. for a grand opening celebration at the new Arlington Heights store and to meet with interested franchisee candidates. Yogurtland’s development team will be available to answer questions and discuss available Yogurtland franchising opportunities throughout the state. Those interested in attending this special event, should R.S.V.P. to Maria Winn at [email protected] or call 714-939-7737. Since the opening of its first location in Fullerton, Calif. in 2006, Yogurtland has grown to more than 170 locations in the U.S., Mexico and Guam. The company is gearing up to open 550 total locations by the end of 2015. Growth will come from a combination of single and multi-unit operators. Restaurant, food service or retail experience is a plus, but is not required. For more information, please visit www.yogurt-land.com.